One of my most viewed posts is the swatch extravaganza here. 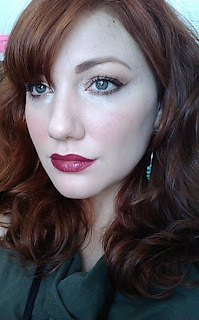 This post is part of my expansion of that post, in which I swatch each color on my lips! Sugar Plum Fairy looks scary in the tube. S.C.A.R.Y. The only reason I bought it was because it is purple, and I figured I could lightly pat it on to get my preferred plum lip. 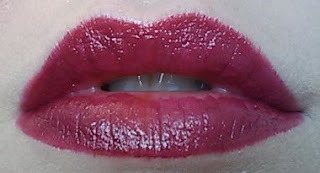 However, once it is on the lip, it transforms into a beautifully wearable shade. I have a lot of plum tones in my lip, and my inner lip turns very plummy, so I gravitate to purple and plum toned lipsticks. 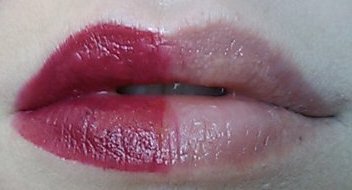 Unfortunately, there aren't a lot of plum lipcolors out there that lean into blue rather than red. 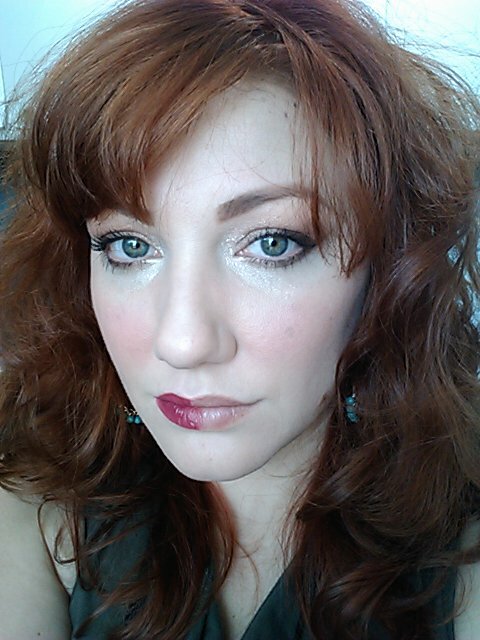 This lipstick sits almost in the middle, with a slight lean to blue undertones. One of the odd features of my coloring is that rather than be a "sitting in the middle" neutral coloring, I am "some things are cool, some things are warm" coloring. For example, my hair and skin undertone is warm, while my lips, eyes, and skin overtones are cool. Ok, on to the lipstick! Now, a thin layer, applied straight from the tube. 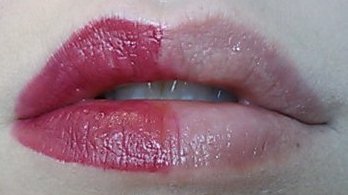 I'm sure you can tell, but yes, I left half of my lips bare for comparison. Notice that you can't really tell a difference between the two. This color goes on opaque very quickly. 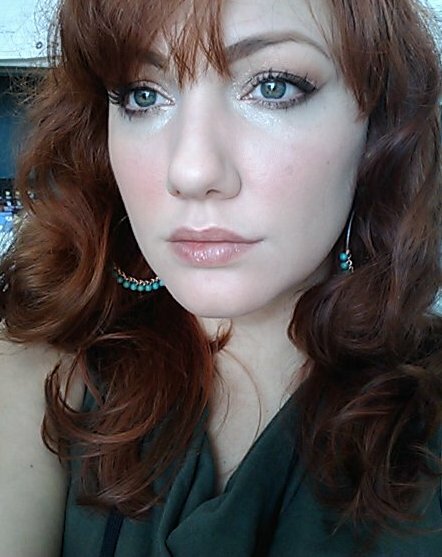 Here is a full-face shot, to give you a better idea of how it works with skin tone. Like the other Megalast colors, this formula is very nice. The color will stick around for hours. Using a balm underneath it makes its lasting power decline, but also allows you to effectively blot it to a more work-friendly daytime look. I have found that adding a gloss on top doesn't seem to affect the wear time.